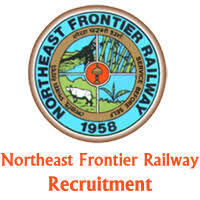 NF Railway Jobs Recruitment Notification 2019.Northeast Frontier Railway inviting applications for the positions of Senior Inspector.Interested and Eligible candidates can apply for the positions. 1. Eligibility Criteria: Officers from Indian Railways/ Public Sector Undertakings of Indian Railways/Autonomous Organization(s) related thereto, with Bachelor's Degree/Diploma in Civil Engineer/Mechanical Engineering / Electrical and Electronics Engineering / Electronics and Communication Engineering/Electronics and Telecommunication Engineering from a recognized university Institution. 2. Holding analogous posts on regular basis in the parent cadre or department or With five years service in the grade rendered after appointment thereto on a regular basis in Level-6 or equivalent in the parent cadre or department OR Traffic inspectors working in the Indian Railways/Public sector Undertakings of Indian Railway. Autonomous Organizations related thereto:- (i) holding analogous post on regular basis in present cadre or department or with five years' regular service in the grade rendered after appointment thereto on a regular basis in the level 6 equivalent in the parent cadre or department. 3. Duration: Period of deputation including the period of deputation in another ex-cadre post held immediately preceding this appointment in the same or some other Organization/ Department of the Central Government shall ordinarily not to exceed three years. Age: The maximum age limit for appointment by deputation shall not be exceeding 56 years as on the closing date of receipt of application. Office of Commissioner of Railway Safety, Northeast Frontier Circle, '14, Strand Road, NKG Building (12th Floor), Kolkata - 700001. It is requested that the applications of willing and eligible officers may be forwarded to the "Office of Commissioner of Railway Safety, Northeast Frontier Circle, '14, Strand Road, NKG Building (12th Floor), Kolkata - 700001 (in duplicate) in the prescribed proforma (Annexure-A) within 60 days from the date of publication of this circular. While forwarding the application, it may also be verified and certified by the employer that the particulars furnished by the applicant (s) are correct.